Suggesting navy as an alternative to black isn’t a new phenomenon. But original or not, the right navy pieces will (deservedly) be on constant rotation in any wardrobe. No matter which side you sit on the black-meets-navy debate, this versatile shade is undeniably easy to style. With a myriad of shapes and styles to choose from, follow our simple steps below to make the most of SS17’s navy offerings. Embrace a modern silhouette this season by choosing relaxed fits and fluid shapes. 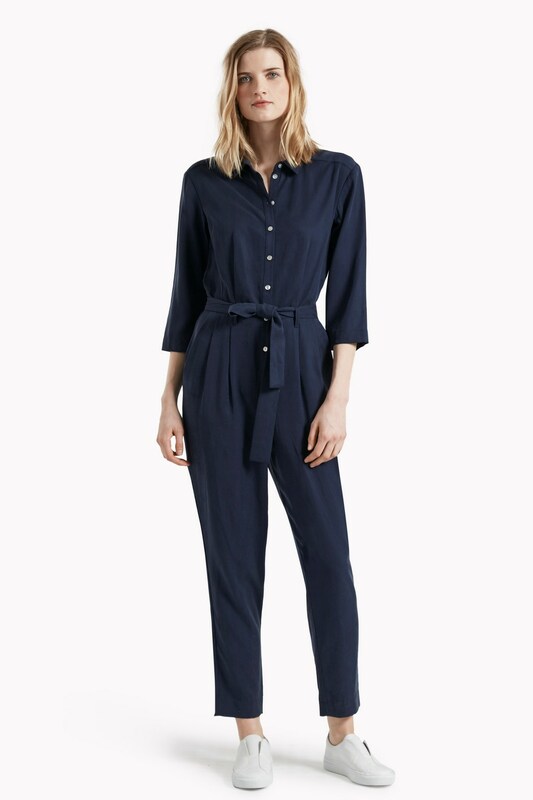 The ever-practical jumpsuit gets a nonchalant makeover this season with a relaxed approach to masculine tailoring; choose a waist-cinching style for more definition. 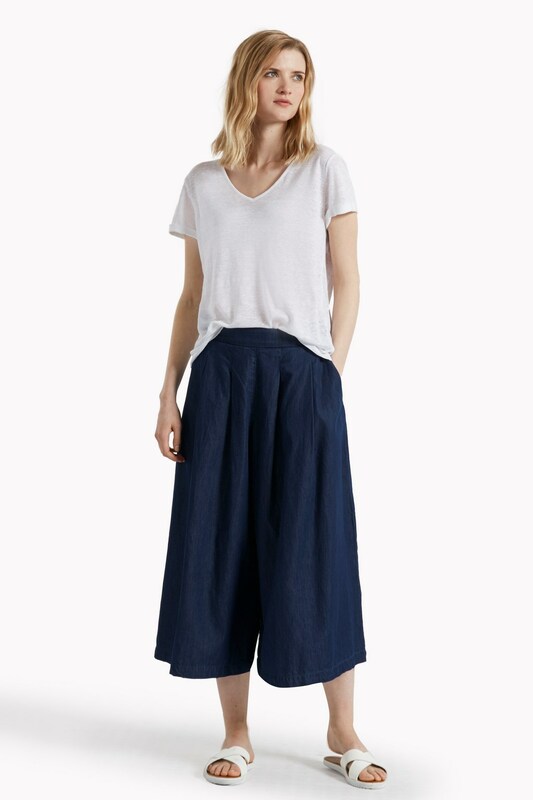 Alternatively, a style with a wide-fit trouser is universally flattering. Try pairing with a heel for full leg-lengthening effects. Whilst the skinny jean will always have a place in our proverbial denim hall of fame, this season our go-to shape is a little more forgiving. With culottes here to stay for SS17, now is the time to invest in a go-with-everything pair. We’d recommend picking a lightweight version; not only will they keep you cool during the Great British summer (here’s to wishful thinking), but they will also avoid looking too bulky. Keep the look relaxed by pairing with a tucked-in T-shirt and trainers. If you’re more partial to a dress than separates, then a lightweight denim version will easily see you through to summer and beyond. Effortlessly cool, it’s perfect for those days when jeans won’t quite cut it. Catchy name? No. Sartorial staying power? Yes. 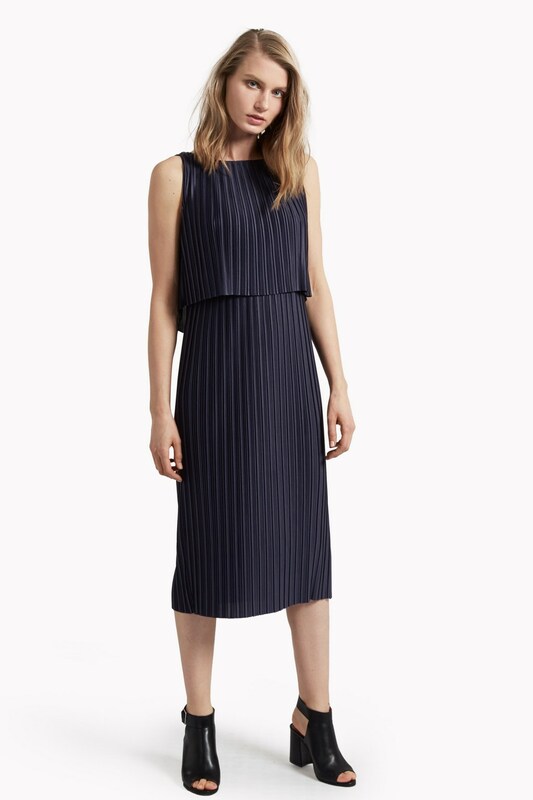 Give your faithful black dress a well-deserved break and try out a navy version. Whether dressed up or down a classic shape will stand you in good stead, whilst accents of detail keep things interesting. Style with a statement accessory for an easy occasion wear outfit. Stand out in a sea of monochrome by injecting a new hue into your workwear repertoire. Keep things interesting by choosing a style with detailing, or a new shape. 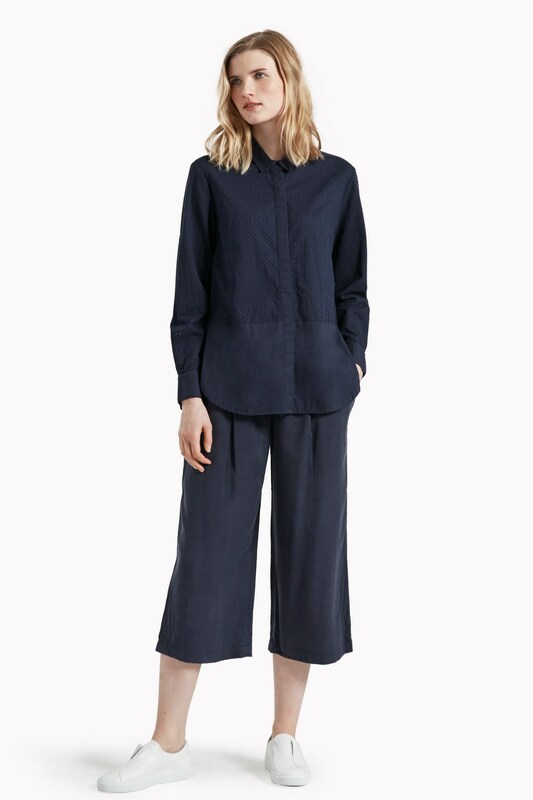 Don’t be afraid to double up on your separates, a navy shirt paired with a navy trouser is a chic nod to the colour-blocking trend and is entirely office appropriate.